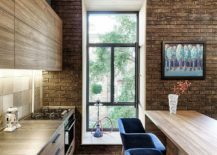 Making the most of the available space is a must in small urban apartments, and often this means finding solutions that go beyond the obvious. 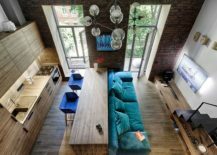 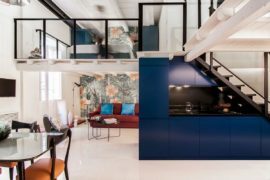 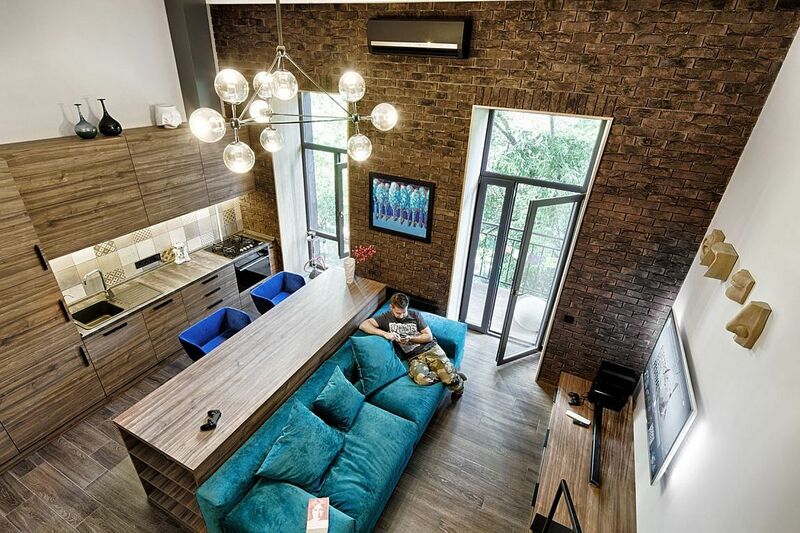 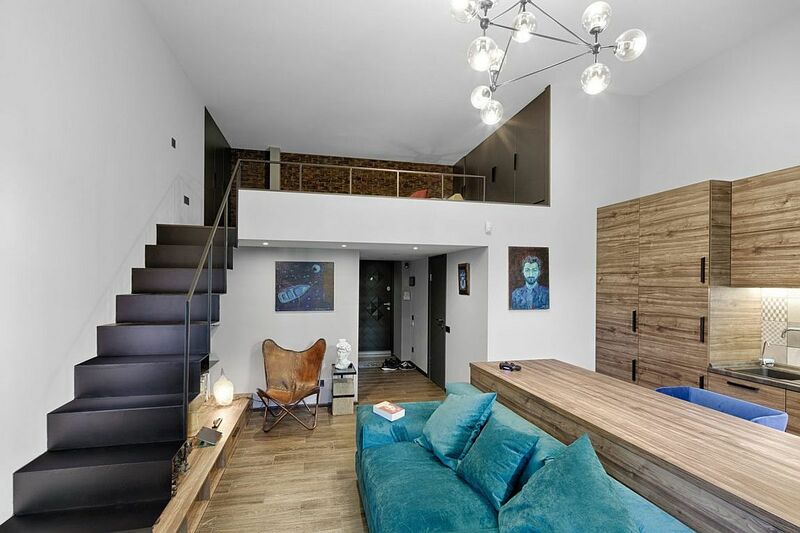 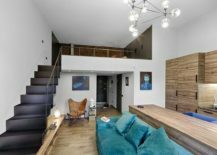 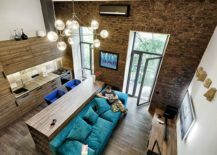 This tiny apartment in Kiev has an area of barely 35 square meters, but managed to find additional space by simply adding a cool mezzanine level! 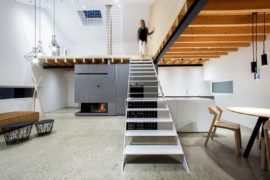 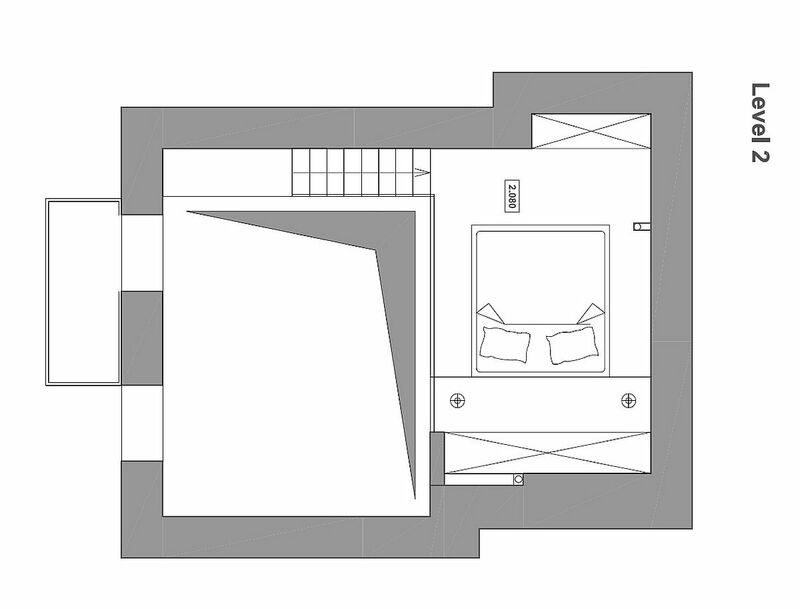 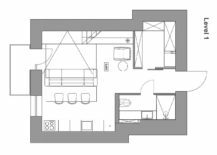 The new mezzanine level of the apartment stretches its square footage to 527 square feet and also gives the single-person apartment an aura of its own. 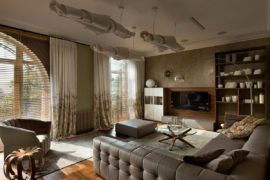 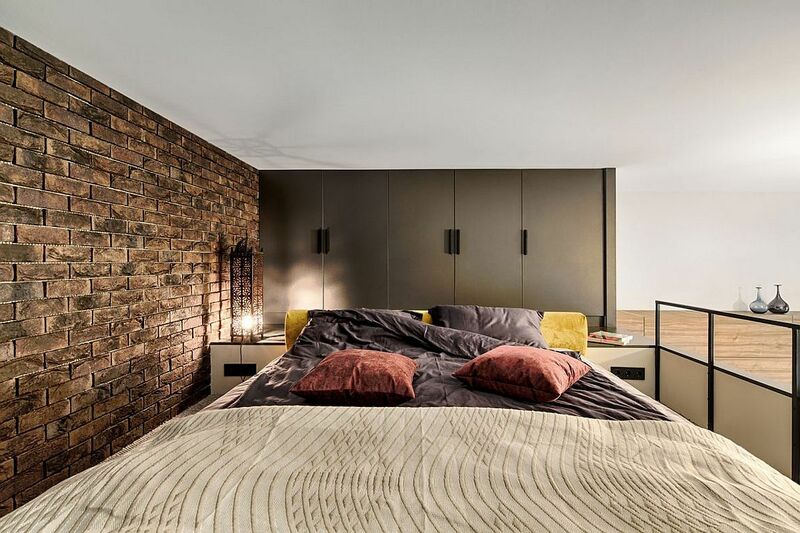 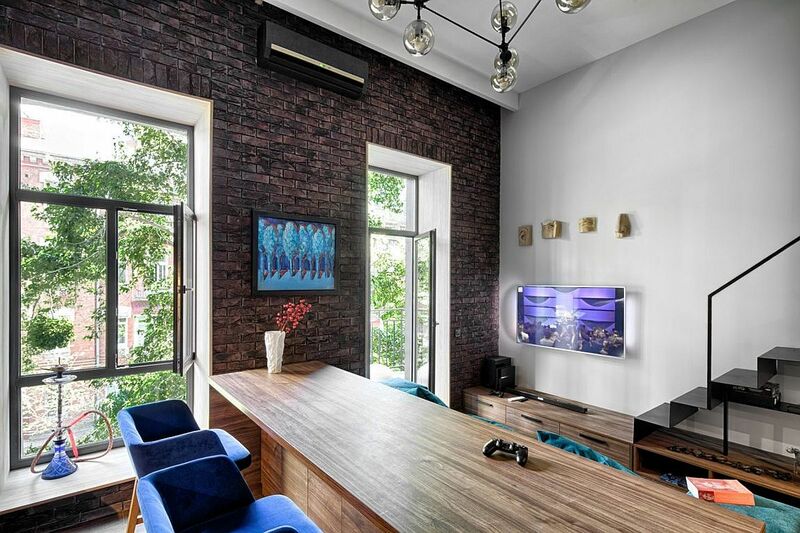 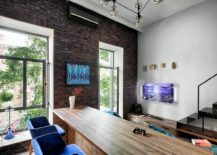 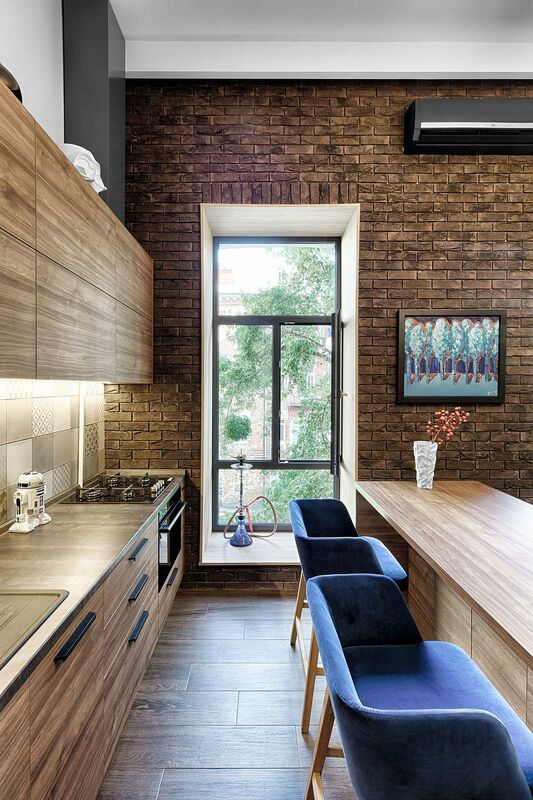 It is easy to understand why the architect Ivan Yunakov had to turn to the utilization of vertical room inside this modest apartment as soon as one steps in and notices the 3.9-meter-tall walls. 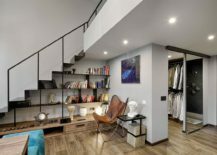 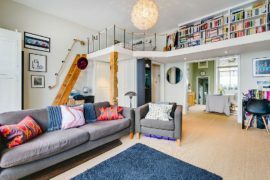 The mezzanine level is nothing too elaborate and is more akin to a left level bedroom, but with two additional wardrobes that provide essential storage space. 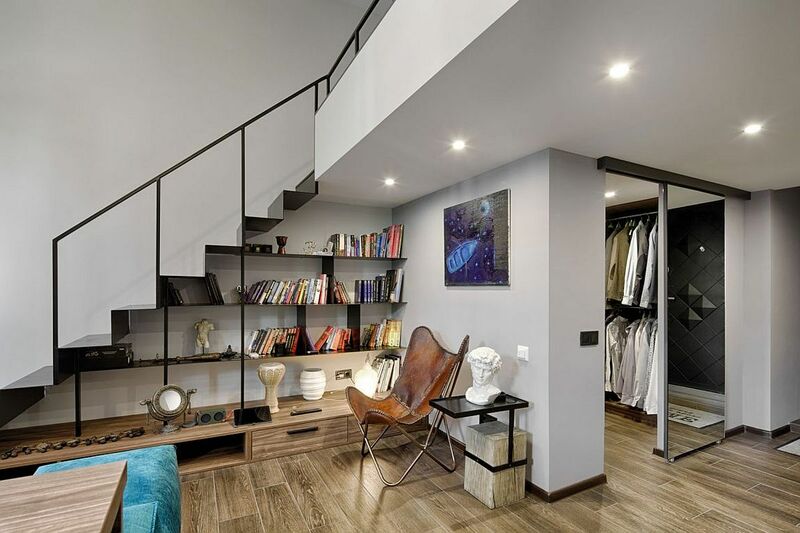 A smart and simple staircase leads to this level, with a bookshelf underneath the staircase utilizing even this tiny nook of space to the fullest. 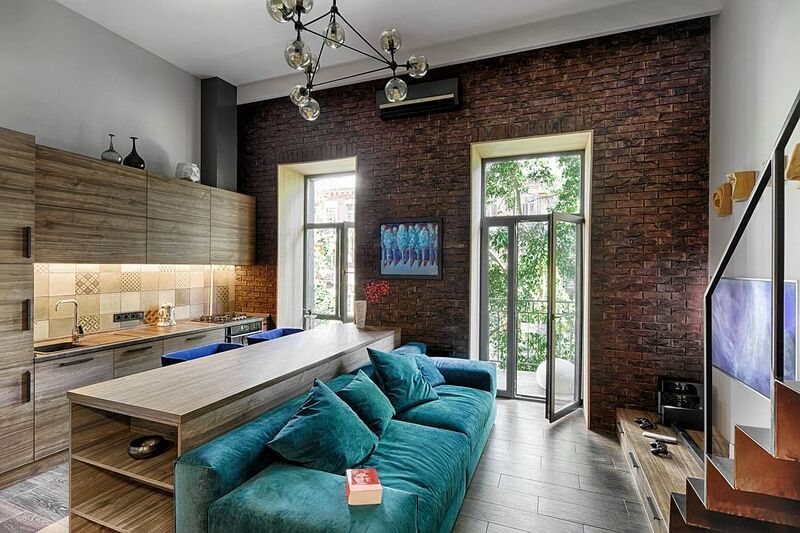 A comfy lounger and tall floor lamp next to this bookshelf creates a wonderful reading and relaxation zone, while the rest of the living area is filled with a bright cobalt blue couch and custom wooden cabinetry. 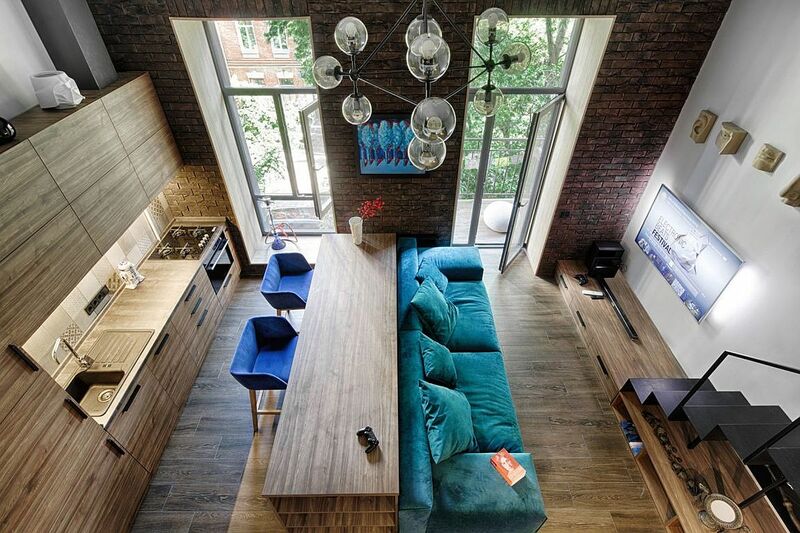 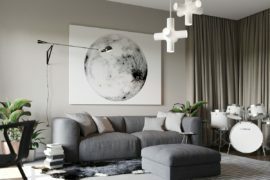 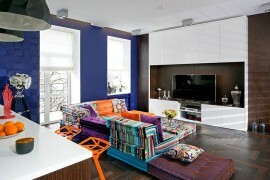 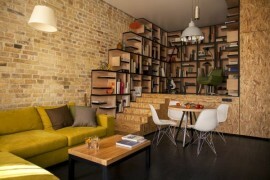 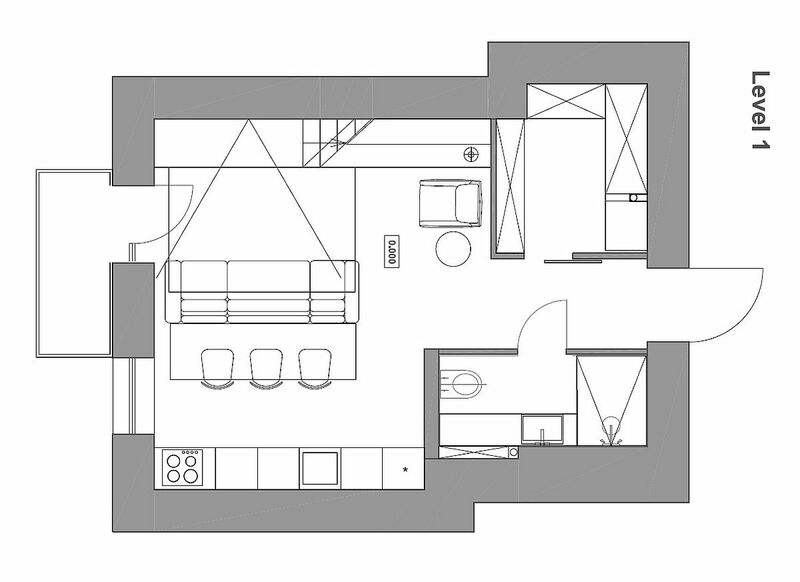 Decor inside the apartment is kept to a bare minimum, with the kitchen and dining space right next to the living zone.